The Maine have announced their first-ever nationwide headlining tour ‘An Evening with The Maine’, sponsored by Alternative Press Magazine, which kicks off July 7th in San Francisco, California and runs through August 27th in Mesa, Arizona. The tour will support the July 13th release of their major label debut album ‘Black & White’. The Howard Benson-produced ‘Black & White’ is the follow-up to their 2008 Fearless Records debut ‘Can’t Stop, Won’t Stop’. Each show will feature a 90-minute set from the Arizona five-piece, followed by an audience-wide meet & greet and photo session for any fan wishing to say hello to the band. 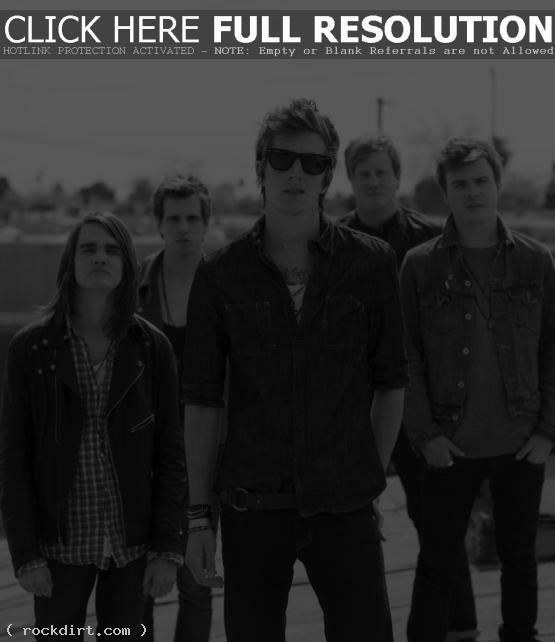 This Century will open on the tour, and there will be special guests, giveaways, contests and prizes every night. The Maine has been writing and recording and touring nonstop since they were barely out of high school. Their songs have garnered a collective 77 million plays on MySpace and they have sold 113k albums, 674k digital singles and racked up 1.5 million views on YouTube. The five-piece has been a part of four consecutive sold out tours and spent last summer as a marquee artist on the entire length of the 2009 Van’s Warped Tour. i love u so much’!! !